Thomas A. Borner, President and CEO of Putnam Bank, recently announced the hiring of Robert Trivella SVP, Chief Commercial Business Development Officer. “Rob is a terrific addition to our very strong commercial department. We have successfully assembled what I believe to be the best commercial department in eastern Connecticut. This is reflected in the growth of our loan portfolio which is vital to fueling the economic engine of the communities we serve.” commented Mr. Borner. Rob brings over 25 years of commercial lending and commercial real estate finance experience to Putnam Bank. Rob has worked in the Commercial Banking industry in Connecticut his entire career upon graduation from the University of Connecticut. This has included lending positions at Shawmut Bank, Peoples United Bank (formerly People’s Bank), Santander (formerly Sovereign Bank) and most recently TD Bank for the past seven years. Over the last 15 years, Rob held key management positions and has led commercial real estate lending teams for each, covering the Connecticut, southern New England and NY State markets. Rob is a member of the Real Estate Finance Association and the Real Estate Lenders Association. He has been active in local civic activities as well as raising funds and awareness in the fights against heart disease and premature birth. Rob and his family have resided in northeastern Connecticut for the past 25 years, and he looks forward to getting actively involved in all of the communities throughout eastern Connecticut that Putnam Bank serves. Putnam Bank, in existence for over 150 years, is a state-chartered and insured stock bank, with assets, including the holding company of approximately $525 million dollars. 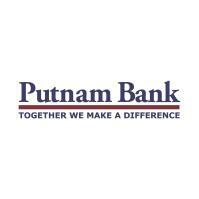 Putnam Bank has branch offices in Putnam, Pomfret Center, Danielson, Plainfield, Griswold, Gales Ferry, and Norwich. It also operates a full-service loan center in Putnam. For more information call (800) 377-4424, or visit our website at putnambank.com.